Something interesting has been happening this year: Most of the big technology companies using analytics internally are moving to big "S" solutions. We've had decades of small "s" solutions, but enterprise companies in particular, including EMC, Dell and IBM are undergoing fundamental changes. So what makes the "s" big or small? Up until now, a "solution" was a bundle of products looking for a problem. Suddenly companies are asking you what the problem is and then designing a solution to fix it. This is huge - and, because the companies most aggressively driving this are also the most aggressively using their own analytics tools, we wouldn't be here if not for analytics. This difference between big "S" and small "s" solutions started seeping into my brain at the Dell analyst event a few weeks ago. The idea was covertly evident at EMC World 2013, but it took Dell slapping me in the face to actually realise that the world "solution" had changed meaning. For decades, when a vendor said "solution," this basically meant it had the breadth in hardware, software and service to provide a bundle of products that could address a complex problem. It was solution on paper only and was designed around what the vendor wanted to sell. It had little to do with what you actually needed to buy. At its analyst event, Dell pitch processes, not products, and in one transformational speech said it now asks each customer, "What's the problem you want solved?" The example Dell then presented was a company with aging underutilised servers that had hit a performance wall. Typically, a vendor would throw new servers and storage at the problem, walking away with the revenue and leaving the customer with new hardware that was still underutilised and would likely prompt yet another premature replacement cycle. Dell instead aims to provide a more capable management solution, leaving the hardware in place and actually solving the problem at a fraction of the cost. What really drove this home was the contrast between the recent IBM Edge and Hewlett-Packard Discover events in Las Vegas. HP pitched traditional small "s" solutions. IBM announced 650 products but spent no time on any of them, instead showcasing customers for whom IBM had built unique solutions so successful that these customers wanted to praise IBM publicly. IBM Edge felt like a revival meeting where the converted were preaching to the congregation. This got me thinking: What has changed? Why is every major vendor but Oracle and HP on this same page? What made this set of vendors different? Then it hit me: Analytics. EMC was among the first vendors to use big data analytics to define products and services, and improve customer loyalty. 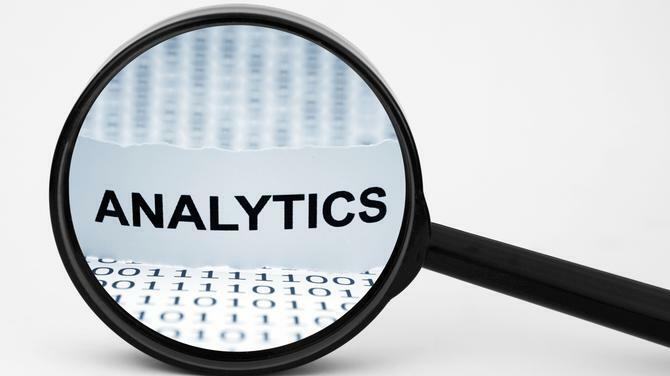 Now IBM and Dell are equally aggressive with internal analytics. Collectively, the three vendors show that numbers can change opinions and approaches. On the other hand, Oracle can't really spell "analytics" yet, while HP is attempting a very difficult turnaround and hasn't internalised its analytics offerings as much as the other vendors. To different degrees, the changed market view that analytics has provided Dell, IBM and EMC lets the firms focus much more closely on customers' problems. This is exactly what analytics is supposed to do. It isn't hype. This stuff really works. The example being set here is that what's good for goose is good for the gander. When a vendor starts using a technology it's pitching internally and can then showcase the competitive advantage it offers, then that same technology is far more viable for the vendor's customers. Even if you don't get that, understanding that major vendors are shifting to big "S" solutions that will increasingly be tied to your actual problems should give you confidence that your trust in those vendors isn't misplaced.